It’s officially summer. That means lots of cookouts and salads. 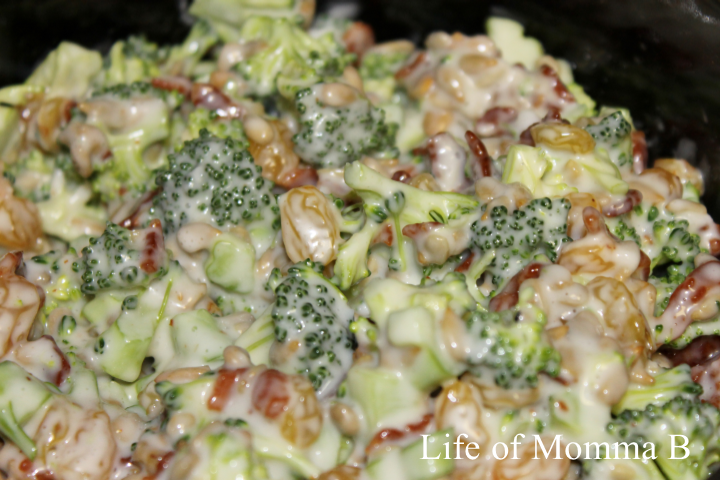 If you looking for something different that your traditional potato salad and cole slaw, this broccoli salad is perfect. It’s sure to be a crowd pleaser. Combine first five ingredients in a large bowl. In a separate bowl, whisk together mayonnaise, vinegar and sugar to create a dressing. Pour dressing over broccoli mixture. Chill before serving. This entry was posted in Recipes and tagged bacon, broccoli, gluten free, raisin, salad, sides. Bookmark the permalink.